Take a stroll through our historic downtown or simply take a seat and enjoy the small town charm as you allow your taste buds to tingle with every sip of our home-grown southern sweet tea. You’ll soon find yourself feeling relaxed, rejuvenated, and thinking that this is exactly how life should be. So come on in and hang out in the town where not only the tea is sweet, but the people are too. The town's name is evocative of its history. 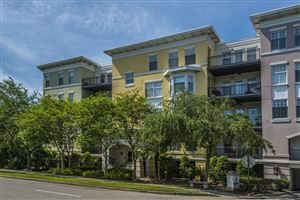 Situated on a pine-forested ridge, it was first inhabited in the late 1700's as Charlestonians and other inhabitants of the SC Lowcountry sought respite from the summer heat, mosquitos and disease. From May to September plantation families along the nearby Ashley River and other coastal areas, headed for higher elevation to live temporarily or "maroon," in the tiny forest colony soon dubbed Summerville. Other pioneer residents descended from those 1696 puritans who settled the nearby former colonial settlement of Dorchester, endowing Summerville with a heritage spanning three centuries. Modernization came to town with the arrival of the railroad in the early 1800's and led the village to incorporation. Trees were being cut in large numbers for laying rails and the clearing of lots to relocate the commercial center near the tracks. To protect Summerville's biggest asset, the village became an official town in 1847, passing a first law prohibiting the cutting of certain-sized trees without permission, and fining offenders a then hefty $25. That ordinance, one of the oldest of its kind in the United States, is still on the books. The last decade of the 19th century saw two of the worst local events, followed by one of the best pieces of luck ever to befall a struggling community. While still recovering from the War Between the States, Summerville suffered extensive destruction during the 1886 earthquake, followed by a downtown fire which wiped out most of the buildings surrounding the town square. The good fortune stemmed from Paris, France, when the International Congress of Physicians declared Summerville as one of the two best places in the world for the treatment and recovery of lung disorders. Such belief was founded in the purported healing aspects of that tree's turpentine scent. This led to the building of inns and hotels to handle the mass of visitors, who first came for their health and then discovering the comeliness of the town, built winter homes and often became permanent residents. 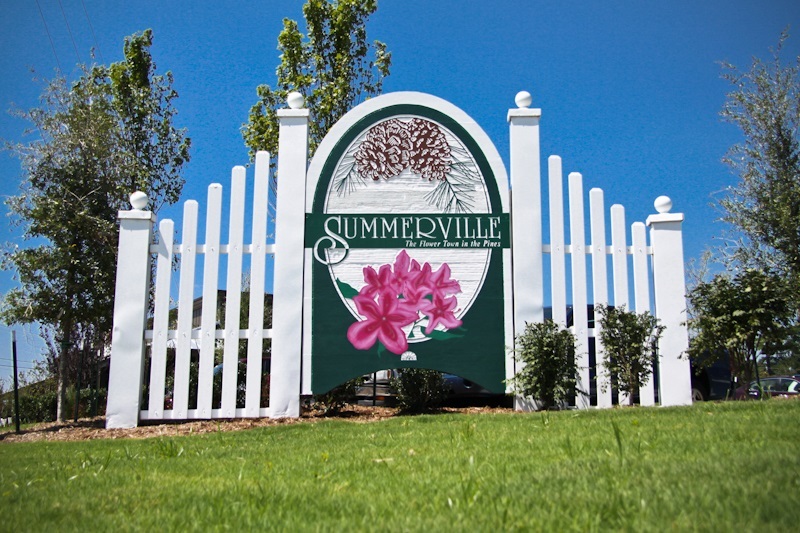 Summerville's beauty is mirrored in her motto, "The Flower Town in the Pines." Since the early 1900's tourists have flocked to the town during early spring to enjoy millions of spring blossoms, particularly azaleas, in private and public gardens, including the mid-town Azalea Park. It's no wonder perhaps that the motto on the town's official seal is "Sacra Pinus Esto- The Pine is Sacred".